Our Brushless Permanent Magnet Motors and Reluctance Motors are enabling consumers of electricity to create energy efficient systems. 0ur state of the art motor design offers higher efficiency at partial load and full toad reducing the energy wasted by conventional systems. This technology will be attractive to end users in the market with high duty cycles, such as solar pumps, textile, compressors and Heating ventilation and air conditioning (HVAC) systems. 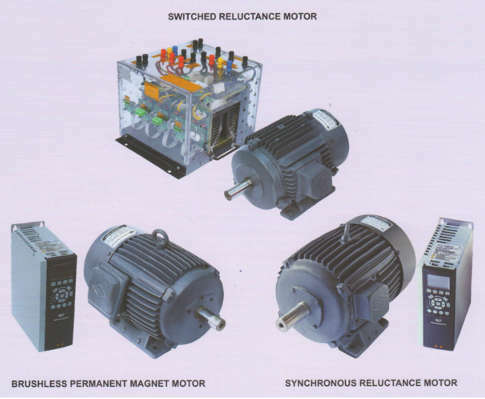 0ur electric motors are designed for optimal motor lifecycle utilization, minimized maintenance cost and downtime enabling better reliability. Nearly 50% of the global electricity is consumed by electric motors which necessitate adoption of energy eff icient systems enabling great opportunity for better utilization of nation's energy resources.